On Wednesday, March 20, 2019 on Peirce College’s campus, a room full of students, alumni, staff, faculty, board of trustee members, and community members came together to celebrate women in leadership at all levels. The conversation was guided by (from left to right in the picture) moderator Janet Eickhoff, Vice President, Strategic Partnerships and Institutional Advancement, and panelists Dr. Charlene Glenn, Professor, Business Division, Jamie Loggains, Assistant Professor, Health Programs, Dr. Mary Ellen Caro, President and CEO, and Melissa Jackson-Schmidt, Peirce Alumna ‘18, Business Administration Program Manager at YouthBuild Philadelphia Charter High School. 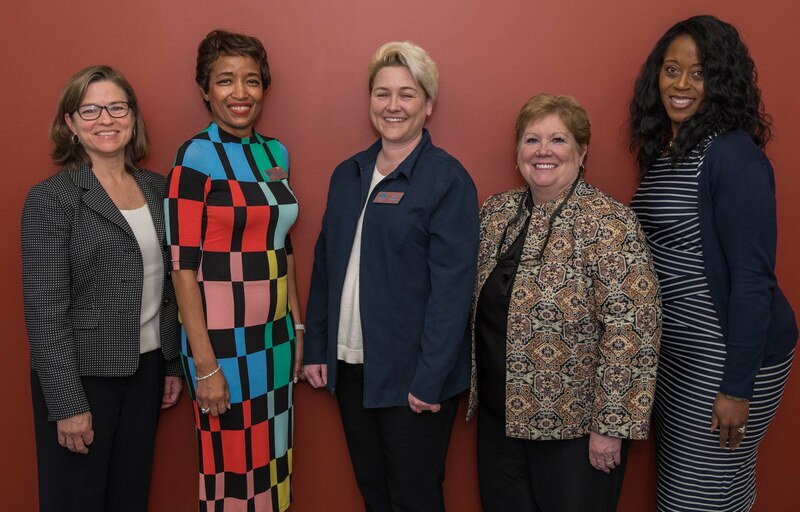 These experienced panelists spoke on an array of leadership topics from how they view leadership, what they have learned about leadership in their career journey so far, advice for those who are seeking leadership opportunities and more. There were points made on integrity, credibility and authenticity; the true importance of the people who surround you and support you; and the real value of knowing when to lead, when to follow, and when to get out of the way. These lessons have carried the presenters to their current roles in leadership and continue to guide them as they all move forward on their career paths. The room was filled with positive energy and progressive thinking, so even after the event concluded attendees were inspired to keep the conversation going well beyond rooms 51 and 52. Thank you to everyone who came out for this timely event and contributed their open minds and hearts to redefining leadership at the finish line and throughout the race.